2.2.3 – 2.2.6 Not Allocated. 2.2.7 When averaged over their entire lives, the rate of growth of meat turkeys allowed to grow naturally on an optimum ration must not exceed 0.15 lbs (68.0 g) for females, and 0.19 lbs (86.2 g) for males, per day. 2.3.2 If poults can be placed on farm within 36 hours of hatch they may be sourced from non-Animal Welfare Approved hatcheries. Birds over 36 hours old must come from Animal Welfare Approved sources. Note: If it is not possible to place poults within 36 hours please contact the Animal Welfare Approved office for further advice. 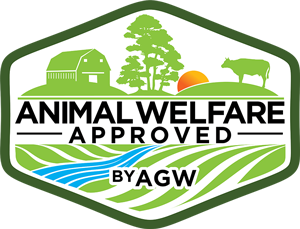 This standard will be reviewed annually, and when there are sufficient Animal Welfare Approved hatcheries it will be a requirement to source Animal Welfare Approved poults. 5.0.5 Recommended Turkeys should be kept in flocks of no more than 500 birds. 5.0.9 All turkeys must have access to dust baths. The following standards apply if hatching takes place on or under the control of the approved farm. 5.2.2 A hen sitting on eggs may be removed from the flock and excluded from ranging and foraging areas during brooding and for up to four weeks after the poults have hatched as long as the indoor and foraging area requirements in standard 8.1.3 are met. 5.2.3.4 The number of poults delivered to the growing farm or transferred to the meat or layer operation. 5.3.7 Meat turkeys must have access to raised areas from four weeks of age. These may be perches or may be provided by straw bales or other items that allow the birds to get up off the floor. 7.3.11 After the brooding period each turkey must have continuous access to at least 20 sq ft (1.8 sq m) range and foraging area (see also 7.0.3). 7.3.13 The minimum pen size on ranging and foraging areas for turkeys must be at least 18 ft by 10 ft. Note: For the purposes of this standard a pen is an enclosed area on the ranging and foraging area, usually attached to the poultry house, which allows turkeys to range within a defined area. This standard does not apply to individual hens naturally brooding poults – see Standard 5.2.2. 7.3.15 Recommended The minimum pen size on ranging and foraging areas for turkeys should be 90 ft. by 50ft. 7.3.17 A fully enclosed pen on ranging and foraging areas for turkeys must be at least 4 ft. high. 7.3.19 Recommended A fully enclosed pen on ranging and foraging areas for turkeys should be at least 8 ft. high. 8.1.3 The following space allowances are required in housing or shelter when birds are shut indoors during daylight hours. They do not apply when laying hens are kept in a roost. A roost contains perches that meet the requirements of standard 8.7.3 and may contain nest boxes; where the birds have free access to the ranging and foraging area from sunrise to sunset and where the thermal comfort of the birds can be maintained – see also Standard 8.0.2 and associated note. Turkeys – minimum additional foraging area when birds are excluded from a ranging and foraging area. 8.1.3.1 Recommended Poults should have access to at least 0.25 sq. ft. (0.02 sq. meters) per bird when first placed in brooders and this space should be increased as the birds grow. 8.4.2 When birds are excluded from ranging and foraging areas during daylight hours, bedding must be available to poultry at all times. Note: Bedding is not required in roosts for laying hens where birds are only kept inside at night while perching. For the house or shelter to be considered only as a roost birds must be let out at first light and have un-obstructive access to the foraging area during daylight hours. 8.7.1 – 8.7.2 Not allocated. 8.7.3 Once in lay, turkey breeder flocks and laying turkey hens must have access to 15.7 in (40 cm) aerial perch per bird. 8.7.4 Training perches must be provided to turkey breeders or layers by the time they are 10 days old through to point of lay. 8.7.4.1 Recommended Turkey breeders or layers should have at least 1 inch per bird aerial perch space before they come into lay. 8.7.4.2 Recommended To encourage use, low perches around 6 to 8 inches high should be provided for turkey breeders or layers aged from 10 days to 4 weeks. 8.7.4.3 Recommended Perches provided for turkey breeders or layers aged from 4 weeks through to point of lay or placement in the laying house should meet the same requirements as for laying hens (see also standard 8.7.6). 8.7.5 Perches for pullets, layers and breeders must be built in such a way that the birds can securely grip the perch, be non-slip and have no sharp edges. 8.8.4 Laying turkeys must have at least one nest box for every four birds. 8.8.4.1 Recommended Where communal nests are used there should be at least 400 sq. inches per laying turkey. 12.1.5 Turkeys must always be carried individually with two hands and lifted with support to the breast and with the head upward. 13.4.1 Young birds must be transported in poult boxes designed for the purpose. 13.4.5 Poult boxes must not be stacked on one another unless specifically designed for the purpose. When stacking boxes, care must be taken to ensure that air flow to the young birds is not restricted. 13.4.9 The number of poults that are dead on arrival and/or injured or in poor condition must be recorded for each delivery. Some laying operations will not transport birds after they have arrived on farm as day-old poults. However, whenever containers are used they must meet the standards below. Note: Only newly hatched poults may be transported in poult boxes. 13.5.10 If containers are stacked, extra care must be taken to ensure turkeys have sufficient ventilation. 16.1.2 CAK and Controlled Atmosphere Stunning (CAS) using carbon dioxide may be used for turkeys.